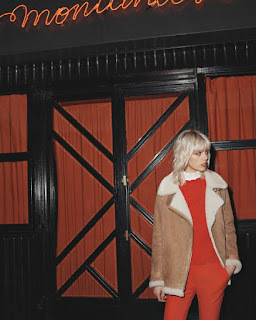 Claudie Pierlot AW2016 collection plays on two major themes; The French Napoleonic Empire military uniforms and the Parisian club culture of the 80’s. This seasonal wardrobe, eccentric and reflective of Claudie Pierlot core values, combines timelessness and classical items with an 80’s twist. Chic officers’ frock-style coats and lingerie-inspired collared blouses exude French elegance consistent with our Summer 16 collection. AW2016 collection brings touches of red, black, shiny lamé and an ‘evening’ influence that emphasises the underlying theme, leading to a casual night out in the 80’s Parisian evenings to the legendary soirées in Castel, Régine, and Les Bains. A culture of excess, joyful and carefree, this season strives for capriciousness and audacity - in short, it is anything but minimalist. The accessories thus set off our elegant silhouettes in a modern way and inject a concept of chicthat is ‘cooler’, and more fun, into our timeless wardrobe.